BO1078. 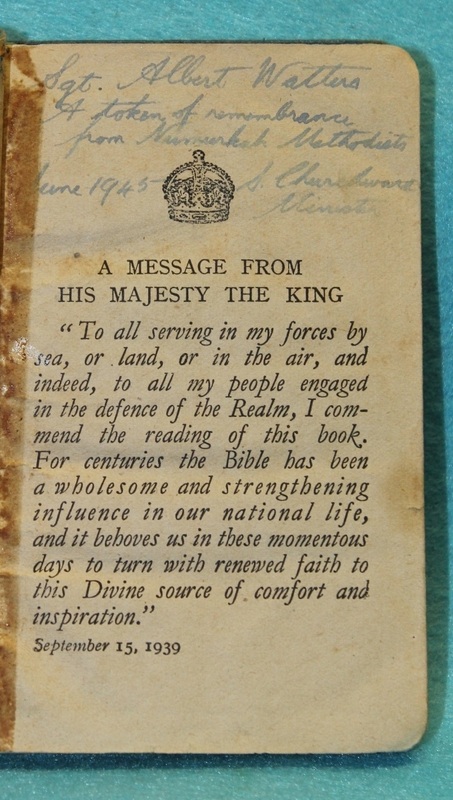 A small copy of the New Testament with the RAF badge on the cover, inside is a message from the King dated September 15 1939 also it is named to No 12668 Watters. A. Albert Wesley Watters enlisted on 13 Jan 1941 at Melbourne and discharged on 12 Dec 1945 as a Sergeant from 92 Squadron. BO1078. 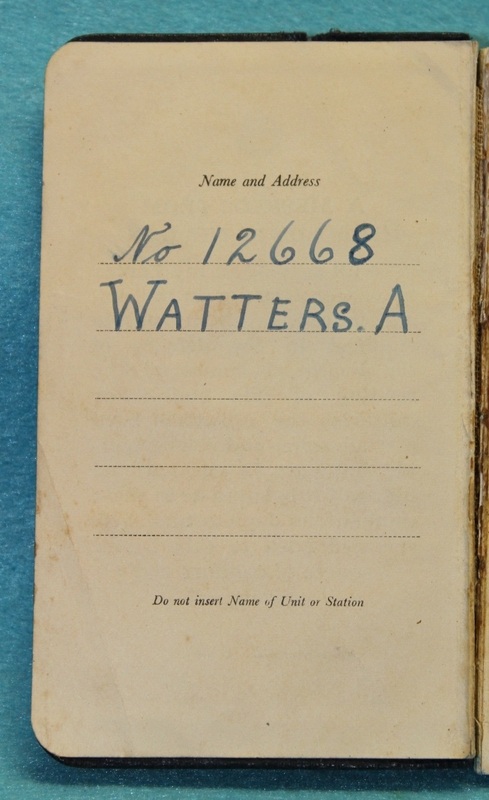 It is named to No 12668 Watters. A. Albert Wesley Watters enlisted on 13 Jan 1941 at Melbourne and discharged on 12 Dec 1945 as a Sergeant from 92 Squadron. BO1079. 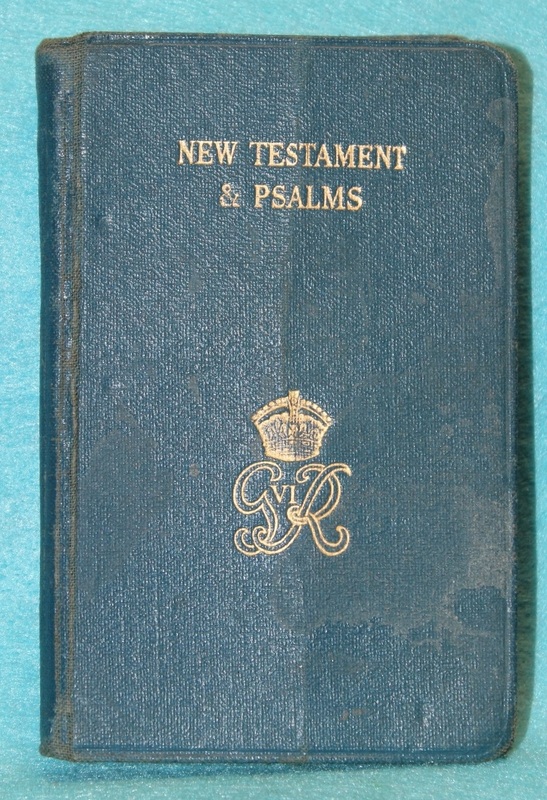 A small copy of the New Testament and Psalms with the Royal Cipher on the cover, inside is a message from the King dated September 15 1939 also there is a notation inside “SGT Albert Watters A token of remembrance from Numurkah Methodists June 1945”. Albert Wesley Watters enlisted on 13 Jan 1941 at Melbourne and discharged on 12 Dec 1945 as a Sergeant from 92 Squadron. BO1086. 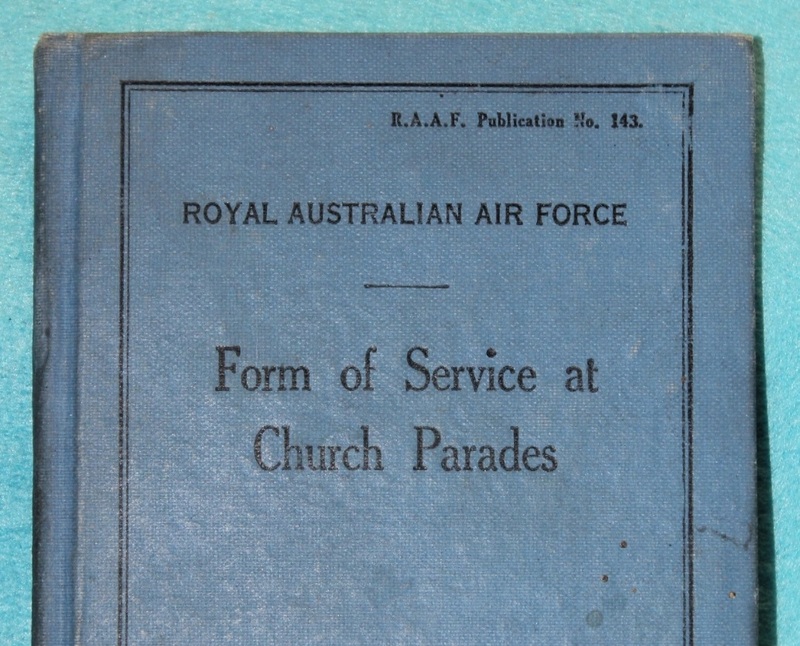 A small light blue booklet “Form of Service at Church Parades” undated but circa 1941. 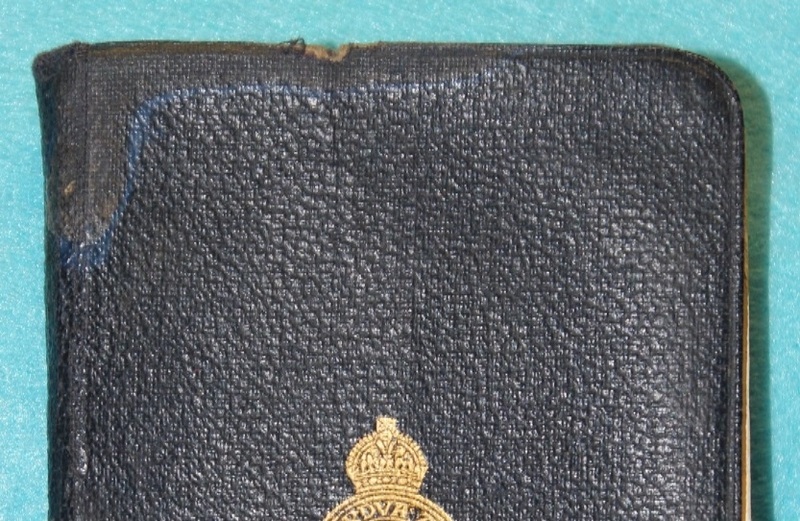 It is RAAF Publication 143. Printed by H. E Daw, Government Printer Melbourne. BO1087. 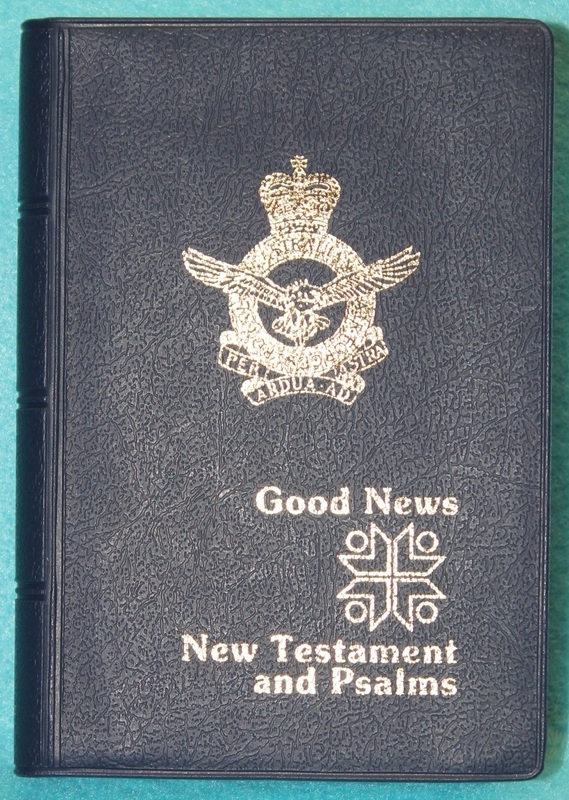 A small copy of the Good News New Testament and Psalms with the RAAF badge on the cover and published by the Bible Society. BO1088. 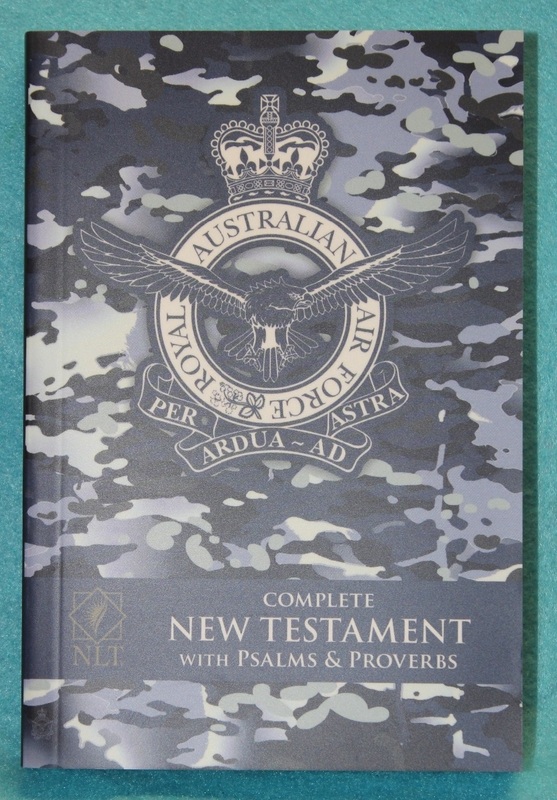 The Complete New Testament with Psalms & Proverbs dated 2017 with a RAAF camouflage cover.